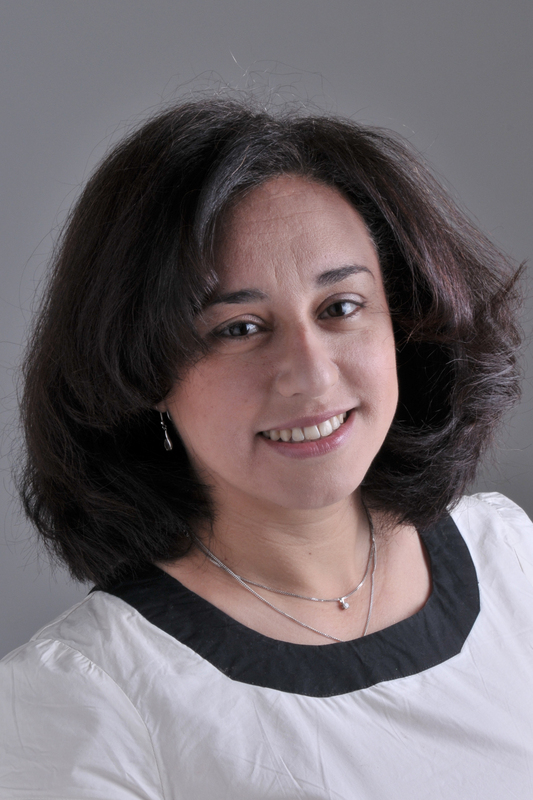 Nervana Mahmoud is a Doctor and Independent commentator on Middle East issues. The only practising doctor in UK who writes regularly in Middle East politics. She started blogging and writing on Middle East issues after the Egyptian revolution in 2011. Nervana has also written guest posts for the US’s Council on Foreign Relations CFR, and has been quoted on several articles for many top outlets. Nervana’s twitter account was featured in The Washington Post’s must-follow on Twitter accounts to understand Egypt, by The Daily Beast’s list in 2013, and her blog was featured in the The Economist‘s list of what to read: On Egypt. In November 2013, Nervana was featured by the BBC as one of its 100 women of the year. In 2015, she was nominated for Lebanon’s Samir Kassir Award. She has given several talks about Egypt, women rights, and radicalism in various institutes, as well as many Radio and TV interviews. Her posts and tweets have been quoted in various reports. Currently write in Al-Hurra in Arabic and publish an English version in this blog. Personally, I like the “I don’t fit any stereotype” concept. It means by definition, a thoughtful critique and position on affairs of interest. Well spoken Nervana…. Gave me much to think about regarding affairs such as “the Arab Spring”, Turkish “neo-Ottomanism”, etc. Also perhaps, some glimmer of pragmatic common ground among Middle Eastern players to resolve longstanding conflicts. There is that possibility, or at least I hope so. I traveled extensively with an NGO in the Eastern Meditteranean during the 1980s and met many folks who would build on the positive aspects of such change. God grant they live and prosper through these turbulent times. I am Joseph Khoury following you at Twitter and since you are not following me, I cannot send you a direct message there! I’ve always admired your “Franc-Parler” as we say in French and i have some questions that are eating my mind and would like to discuss openly with people like you. For instance, don’t you think that Israeli leaders are laughing in their secret when seeing highly educated Arabic men and women, news anchors and other free bloggers, tweeting and re-tweeting even shallow comments sometimes, only because they attack Hezbollah, Syria or Iran? Don’t you think that their plan for creating animosity between Muslims (Sunni- Shiaa) and (Sunni-Minorities) is working by now? I agree that neither one of the above countries and organization could be a role model for any kind of democracy but don’t you see that the attack on them is not only because of this? Don’t you think that Israel has some kind of “inferiority complex” against Hezbollah mainly, because its resistance movement was the only Arabic one that showed them hell at least twice in the last decade? How could someone be Arabic and keep on attacking Hezbollah? Can you tell me how Hezbollah is harming the Arabs and where? May be, it sounds strange for a Christian to defend Hezbollah or any Islamic kind of resistance, but i am proud of being Lebanese who has this kind of resistance against Israel, whether you call it Islamic, national resistance, Hezbollah or whatever is? I’ve been raised to witness for the truth and not for the religion or color. I just want to know if you allow please, why Nervana Mahmoud, the Arabic blood woman keeps on criticizing Hezbollah? Certainly you have a valid answer which i hope i can understand and then, i would not be questioning your objectivity as per the comments you always tweet and re-tweet. Back to the democracy that lacks in Iran, Syria and in other Arab countries, my question is: are the people in those countries ready to handle it? Men who treat and define women either by a mother and a sister or by a “whore” is going to apply democracy? We’ve seen Libya and the nr.1 clause in the new Libya’s statesman was to restore polygamy! Fine, what about the democracy in USA and Europe? Can you express your free opinion on TVs and Newspapers should you like to talk about Nazi or questioning the exaggerated history regarding the Holocaust? Do you recall the democracy of CNN when Octavia Nasr has just posted an “homage” tweet for Mohammad Hussein Fadlallah because he was defending women cause in Islam?! I am just sad because i can see that the Israeli/US plan for creating sectarian clashes in the Middle East is starting to see light and without knowing it sometimes, our social elites, writers, news anchors and media are helping in that direction. I cannot understand this animosity against Iran which to my modest knowledge, is been harmless to Arab countries. Whereas, Israel is the one we should show our animosity to. Iran is investing in sciences and technology. Today they just launched successfully a satellite and Arabs are still discussing whether is legitimate for a women to drive a car and condemning in prison a comedian for wearing a “jalbab” in his theater! At the end of the day, i am seeing a racist country called Israel, erecting apartheid walls and endorsing religiously its state, confiscating lands, killing children and women and the maximum we see in return are few shy statements without any sanctions. On the other hand, people who defend their land are labeled terrorists and what is more harmful is that the attack on them is coming from their fellow Arabic citizens. “I am just sad because i can see that the Israeli/US plan for creating sectarian clashes in the Middle East is starting to see light”. Joe, I’m not sure how you explain the Sunni/Shia schism that’s been going on over thousand years before Israel (and the US) existed. But if it makes you feel good, go ahead, blame Muslim’s killing Muslim’s on Israel and the US. Hi.. I wonder if you would like to write for our site.. http://www.businessturkeytoday.com as guest writer..
Hi there, I really like the picture at the top of your blog. Do you mind me asking where it is? It is the photo of Al-Hambra in Grenada in Spain. Don’t confuse minor (or major) anti-democratic currents in American society with outright dictatorship. There is a HUGE difference. I am surrounded every day by refugees from real dictatorships and to a man they admit that they are largely free to speak their minds here. Some even criticize this country for allowing too much freedom of expression. The struggle for democracy is never really over, but the struggle here is against the narrowing of our rights, not their complete absence. So, for example, despite the travesty of Guantanamo, most American judicial processes do go by the book, and when the authorities overstep the law, they are quite often caught and punished. When this does not happen right away, journalists often catch it, and can mobilize public opinion to pressure our Government to do the right thing. It doesn’t work 100% of the time, and the exceptions are worth noting: they are the very things democrats here struggle against. But there is a world of difference between this and the room for free expression in places like Egypt, Syria, Bahrain or Saudi Arabia. To conflate them is a serious error and will only lead to the kind of blind alley faced by Lebanon for so many years, where “process” has been overshadowed by political or confessional affiliation. Sadly, our Government has done as much to worsen this condition as it has to alleviate it, through its misguided, virtually unconditional support of Israel. Oh, and by the way, Holocaust Denial is protected speech in the US. It is only in Europe that it is actually illegal. I leave that to the Europeans. The Nazis killed millions of them (and not only Jews). Given the danger they still pose (Anders Brevik) I can see their point, even if I don’t like it philosophically. I’m launching a new Monthly News Paper based in Cairo, it’s name is “Hope” and it’s targeting students and youth. Our Teaser will be in December. First Issue January. Soft Opening New Year’s Eve. It will be online and printed. I’ll have English, Arabic, and French Contributions in each department. It will be distributed in all the private and public universities in Egypt in addition to Book Shops, Cafes, and Cultural Centers. The News Paper will be funded mainly through advertisements and sponsors. My Departments vary from Politics, Economics, Women, Sports, Life Style and Health, Arts, Creative, Travel, and Many More. Each Department will have activities related to it for instance Arts will have Theater and Short Movie Productions, Politics will have Awareness Campaigns, Sessions and will offer internships in different NGOs, Life Style and Health will launch Health Campaigns and coordinate with many health organizations. This is a Cultural Project before anything else and one of the main characteristics that people must have is Passion!!! I’d be absolutely honored if you’d agree to contribute with a piece a month. Thank You so much in advance. Is it possible to e-mail you rather than post on your blog? So if it is a waste of time, why you are bothered to comment? You did not even picked a specific piece! Thanks! We would like to contact with you on a private e-mail for making a proposal. I am a student at the University of the Arts London in the United Kingdom and I am writing a dissertation about the role of technology and media in the ‘Arab Spring’ uprisings. I have an English-language survey which I am trying to distribute to as many people as possible – that were involved in the 2011 revolution – and would be forever grateful if you could post a link to this survey on either your website, Facebook page or Twitter (Tiny url link below) account. Please feel free to take a look at the content of the survey and even fill one out yourself. Please don’t hesitate to contact me if you are confused by or have issues with any of the questions. I am also reaching out to Journalists and experts on the Middle East/NorthAfrica uprisings, such as yourself, to ask if they would like to take part in an interview – not recorded just a question and answer format word document – which is just slightly longer than the above survey. Many thanks. That is very kind of you. truly honored. What a beautiful piece of art! The discourse is also worth pondering. It is shortsightedness to assess and decide on surface value of and object without caring the intrinsic value art and culture. …Long long back is the place where a library with huge collection of books and antics were destroyed by vandals. It also reminds me of Talibans destroying statues of Gautam Buddha on the walls of Bamian in Afghanistan…Sad, very sad…when sense and sanity will prevail? I am so sorry for the late reply. I am interested, but can you kindle explain about it a bit more? Hi Nervana. I am the author Robert Bauval. I was born in Egypt but have been living in Europe since 1967, although I return often to Egypt. I was very impressed by your latest article on the Al Jazeera journalists. I fully agree with you. Many thanks Robert. Glad that you liked it. Look forward to more feedbacks from you. Hi Nervana. I was born in Alexandria in 1948. I left Egypt in 1967. I returned regularly to see my family, and lived in Cairo from 2005 to 2008. I’ve written many books on ancient Egypt, but recently wrote three books on the modern history from Napoleon’s invasion to today. I am publishing a book in October (in the USA) exposing the corruption of ex-Minister of Antiquities, Zahi Hawass. OrdinaryEgyptian will never have ‘equality and freedom’ if the rampant corruption is removed at the roots. Perhaps we should talk. Write to me at my e-mail. Correction: Hi Nervana. I was born in Alexandria in 1948. I left Egypt in 1967. I returned regularly to see my family, and lived in Cairo from 2005 to 2008. I’ve written many books on ancient Egypt, but recently wrote three books on the modern history from Napoleon’s invasion to today. I am publishing a book in October (in the USA) exposing the corruption of ex-Minister of Antiquities, Zahi Hawass. OrdinaryEgyptian will never have ‘equality and freedom’ if the rampant corruption is NOT removed at the roots. Perhaps we should talk. Write to me at my e-mail. Many thanks. Look forward to your comments and feedback. This is Dalia El Alfy, media and public affairs officer at the Canadian embassy. I would like to express our admiration here at the embassy with your blog, your weekly news wrap up is always worthy. That being said, we wanted to reach out to you. The second secretary and I would like to invite you over for coffee, getting to know a valuable person like you is definitely enriching. Most grateful If you can send me your number or email so that we can communicate. i am sorry Nervana, I don’t get the email quite well, so it’s nervana1@….?? Salutations & salams from an Islamic feminist Afro-Carribean Dutch woman. I study law in Amsterdam and studied Arabic in Amsterdam and Cairo. Oh, and I love African-American music, and Egyptian music and dance. Nervana, I’m pleased to meet you. I could not find a contact menu to email you personally, but I have a favor to ask. I am doing a multi religious Q/A on 3 questions I have. As a well educated Muslim, would you be willing to help as a representative of Islam as a whole? There will be no praise or criticism of your answers in my post: strictly objective post. I have 3 simple questions that can be answered in no more than 3 sentences each. If so, how do you get there? Please help me out with this post with 5 minutes of your time. It would be most appreciated. Thank you. I am Nikolay Krastev from Bloomberg TV Bulgaria and host of television.I have interest make int.with you on Skaype about situation on Syria and Egypt before parliament elections.